Sometimes it is a good idea to take a step back from the details of what is going on in any particular medical field and take a look at the “big picture”. So that’s what your sitemaster is going to try to do today. From my perspective we are in the middle of an ongoing revolution when it comes to the diagnosis and management of prostate cancer. Revolutions are messy, uncomfortable, fraught with errors, emotionally (and politically) uncomfortable, and can lead to both good and bad outcomes (sometimes — even often — at the same time). With the publication of the results of the ProtecT trial in 2016, it was first proven that, at 10 years of follow-up, men with relatively low-risk forms of prostate cancer could generally do as well on simple monitoring as men being treated with surgery or radiation therapy, and the urology community started to seriously “buy in” to active surveillance as a reasonable form of first-line management for men with very low- and low-risk forms of prostate cancer. Following the initial approval of abiraterone acetate (Zytiga) for treatment of metastatic, castration-resistant, prostate cancer (mCRPC) after chemotherapy in 2011, we have seen three drugs — abiraterone acetate itself, along with enzalutamide (Xtandi) and apalutamide (Erleada) — approved for the treatment of earlier and earlier categories of advanced prostate cancer. Extensive research has begun to allow us to know much more about the genetics, the genomics, and the molecular biology of prostate cancer — to the point at which one drug (pembrolizumab or Keytruda) was approved in 2017 for the treatment of some men with prostate cancer based solely on the fact that they can be categorized as having microsatellite instability-high (MSI-H) or mismatch repair deficient prostate cancer that has progressed following prior treatment or for which the patient has no satisfactory alternative treatment options. “Focal therapy” of various types has started to become relatively commonplace for carefully selected patients with relatively small amounts of clinically significant but localized prostate cancer. We need a lot more data before we will really know how best to apply all the options for focal therapy and ensure that payers will cover the costs of such care when it is appropriate, but it is still a big step forward. New and more accurate forms of radiation therapy have led to much shorter and more intense (hypofractionated) courses of radiation treatment for appropriately selected patients. We can now “cure” some men with oligometastatic prostate cancer who previously had to be maintained on androgen deprivation therapy (ADT) for years or decades. Major advances in imaging technology have been associated with several of the previous “happenings”. 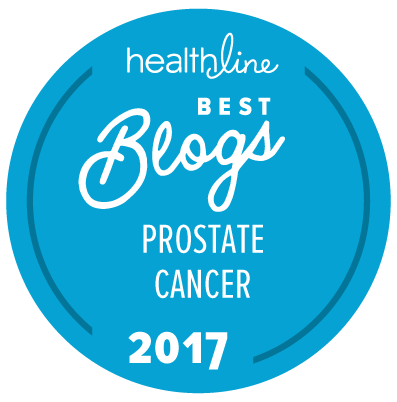 We now report regularly about the current and future roles of MRI and PET/CT scanning in the diagnosis, prognosis, and management of multiple forms of prostate cancer when a decade ago it was unusual for any prostate cancer patient to have such scans. And in some countries around the world techniques like 68Ga PSMA PET/CT scans are becoming the norm and starting to replace the use of the far older bone scan in assessing some types of patient. Three of the most influential professional societies in the world (when it comes to the management of prostate cancer) came together to endorse a set of “patient-friendly” guidelines on the management of localized cancer. And those guidelines were even more recently endorsed by a fourth relevant and influential professional society. And all of these advances are things that are actually available to patients today (even if not always covered by health insurance). Of course this hasn’t exactly helped patients in some other ways — and revolutions aren’t always helpful for individual citizens! There used to be very few options for the initial treatment of a man with localized prostate cancer: surgery, radiotherapy, or watchful waiting. Now there are well over a dozen if you include all of the slightly different, but specific forms of radiotherapy. How is an individual man to make such a decision with confidence? Equally, we still haven’t found a test that can tell us, definitively and up front, with > 95% selectivity and specificity, whether a man has clinically significant prostate cancer and needs treatment. Unless he has metastatic disease, we still need to give far too many men far too many biopsies to make this determination. Consequentially, we still can’t screen men with high accuracy for their risk of prostate cancer — and so the use of the PSA test to screen men for prostate cancer remains one of the big controversies. The first would be a simple form of treatment suitable for men with localized prostate cancer that could turn it into a chronic but controlled disease (like taking a daily pill to manage a high cholesterol level). The second would be a form of more intense treatment that could actually reverse metastatic prostate cancer. Maybe one or other of these will become a possibility in the next 10 years. We are moving very fast, and we see no end to the ongoing revolution in the short term. If anything, it is likely to become even more chaotic and even harder for even the specialists to “keep up” with all the new data. By the time we are done, we may all need our own, personalized access to a “Watson” computer to be able to help us make the best decisions we can about how to get treated for all sorts of disorders — prostate cancer specifically included! My biggest fear for what the future might bring is that one day Sitemaster will retire from his volunteer job with the InfoLink and there will be no one around to sort out the good and the bad, from the patient’s perspective. Thanks for this excellent State of the PCa World editorial, Sitemaster. My only comment/addition is a larger nod to immunotherapy beyond your acknowledgement of pembrolizumab in your genomic comments. Provenge is controversial, largely because it is hard to attribute its results and no test has yet been published using it much earlier in the disease cycle. For that reason it has received a less than enthusiastic reception. Nonetheless, it is FDA approved, in fact was an early entry into immunotherapy across all cancers. Immunotherapy advancements in prostate cancer are hard to come by; but there is huge potential and lots of research dollars invested here. Excellent summary, Sitemaster. I’m sure everyone will appreciate this. Thanks for what you do here to bring forward the latest news on research studies and perspectives. You seem to say that focal therapy is only being used for (and implicitly is only effective for) localized oligomets. Focal radiation in the form of SBRT is being used for more distant oligomets as well. Why do you limit your observation to local mets? No Bob. That’s not what I am saying. My point was that focal therapy for localized prostate cancer is now becoming a standard form of care in some places. THAT’s a big deal. We have long been able to use radiation therapy to treat oligometastasis. The problem before was that we usually couldn’t identify the oligometatases that were potentially curable because they were too small. The fact that SBRT can be highly targeted is certainly helpful, but is was not the critical advance in that situation. The critical advance was much better imaging technology so that we could actually identify the curable oligomets! While it is certainly true that lots of dollars have been invested in research into the potential of immunotherapy for the treatment of prostate cancer, by comparison with the impact in disorders like lung cancer, melanoma, bladder cancer, etc., the impact of immunotherapy in the past 5 or so years on prostate cancer has been limited (to date) to an approval in two relatively rare and atypical forms of prostate cancer. For the men with those two forms of prostate cancer, it is a big deal, but all the rest of that investment has led to very little benefit for anyone (as yet). This article was not about “potential” it was about actual impact! You’d better start looking for someone! Your sitemaster is planning on having a retirement, which means he won’t be scanning the prostate cancer literature on a daily basis in something like 4 or so years from now! If it would be affordable, you could use a PSMA PET/MRI for primary staging. It can show several lesions within the prostate and the PSMA uptake of each allows one to estimate the Gleason score (see here and <a href=http://jnm.snmjournals.org/content/58/12/1943.short.here. You could avoid the biopsy and start with surgery right away. I am intrigued by your statement that some men with oligometastatic prostate cancer can be “cured” without lifelong ADT. I have somehow missed the evidence for this. I have seen enough men have recurrence after long periods of remission that I am skeptical. Could you please elaborate on this? This all depends on the accuracy with which truly oligometastatic disease can be identified. We certainly couldn’t do this prior to the availability of new and sophisticated forms of scanning technique, and so most men treated for oligometastatic disease prior to about 2008 would certainly have been maintained on at least intermittent ADT. Today — at least in some men — we can identify single metastatic sites with considerable accuracy and treat them with a combination of radiotherapy and relatively short-term ADT. Since such men would probably need to be followed for about 10 years for anyone to be able to claim they had been “cured” high a high degree of condidence, I don’t think there are many men (or their doctors) making that claim … yet … but there are certainly some men who have been treated that way who have been “off” ADT for several years now. This is amazingly timeless overview. Please do not feel desparate. Be happy about a great community working to improve the outcome for patients with prostate cancer. The trend to use imaging to detect small cancers is combined with effective treatment being startd early is a two-armed development for improvement. We have web sites for prostate cancer and an annual global conference on prostate cancer in the center of Europe. So enjoy the progress. The future will not be like the past.